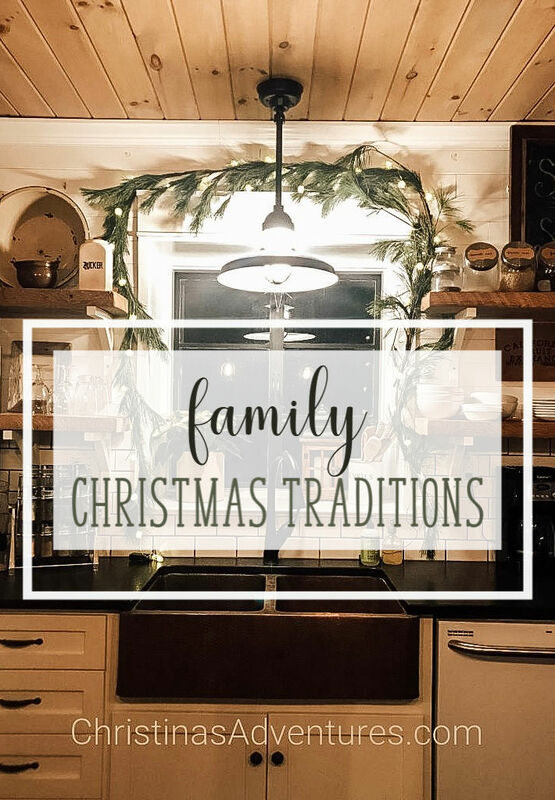 Hundreds of people have submitted their family Christmas traditions and the best are shared here! These meaningful Christmas traditions can help make lasting memories for your family this holiday season! Affiliate links included. My kids will be 5, 3, and 5 months this Christmas season. We’ve developed some sweet Christmas traditions over the past few years, but I was looking for some fun and unique new ideas this year to see if any of them would fit with our family. I asked my Instagram friends, because they always have the BEST ideas. And of course they did not disappoint! I’ve separated out the ideas for your family, and then ideas for serving others. I am a huge fan of finding traditions for BOTH. When my son was a few years old, I quickly realized that Christmas could quickly become super consuming, materialistic, and all about US. What an opposite message from the true meaning of Christmas! I am excited to find any opportunity we can to find ways to make Christmas about serving and loving OTHERS this holiday season, so my kids realize that we can love on others because God showed His great love for us by sending his son into the world for us. We wrap Christmas books and open one every night until Christmas, and then we read it as a family. Tip: get the books at Goodwill so you don’t have to spend a ton! OR borrow books from the library! Many of my readers shared that they made “gingerbread houses” out of graham crackers and candy from the bulk section and it works a lot better! Gift Christmas pajamas on December 1st so they can wear them all month long. bonus: wear really cheesy outfits (ugly Christmas sweaters?) and take silly photos while doing it! Get in your pajamas, put some hot chocolate in a travel mug, and blast the Christmas music in the car. Put all of the Christmas cards you receive into a box. Then pull out a different card every night and pray for that family at the dinner table. Make sure your child writes a note/draws a picture and sends pictures with it to make it more meaningful! Select an Angel Tree child to give a gift to every Christmas. If you have kids, then have them pick someone their own age and have them help select the present with you at the store. Be a “Santa Paws” and gift your local animal shelter with blankets, food, toys, etc. You could donate toys, gift cards, PJs, etc. “The Giving Manger” helps to put the focus back on Christ and giving. Have your kids gather 5 toys each (that are in good condition) and send them with Santa to to donate to other kids. Help a local family in need! Donate a hot meal, clothes, gift cards, toys, coats, etc. And possibly the best advice? Leave some room to breathe this Christmas season. Life can get so crazy in December! Don’t fill your calendar with alllll the activities and allllll the family events and make yourself go crazy. I hope you have a fun time creating new traditions with your family this year!